We have designed InstallBuilder to be easy to use for beginners and advanced users alike. 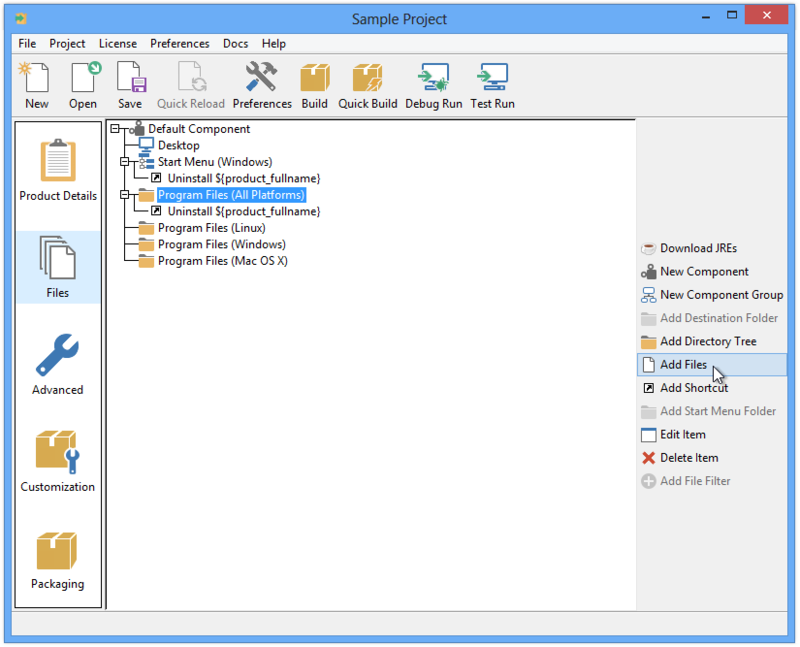 For developers new to InstallBuilder, the intuitive GUI makes it easy to build professional cross platform installers. For more advanced users, the easy-to-read XML project files can be edited by hand for even faster development. You can also switch between editing the XML files and using the GUI without losing any installer functionality.